A second airport has now decided to ban Chick-fil-A because of “anti-LGBTQ rhetoric.” First, it was the San Antonio airport. Now, the Buffalo Niagara International Airport. 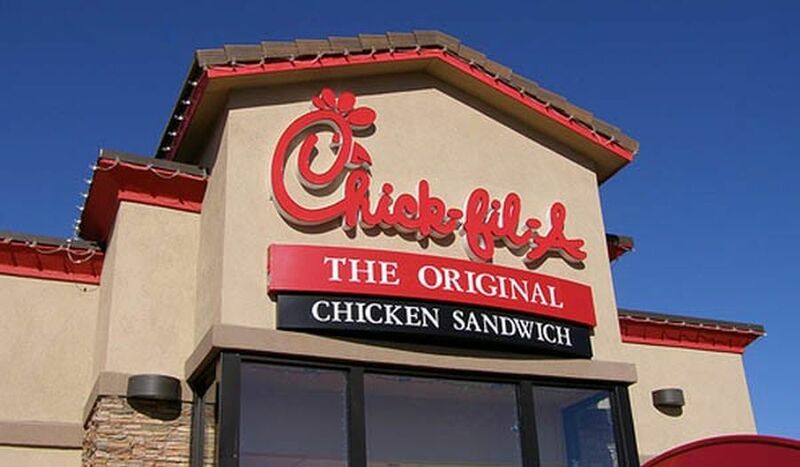 In reality, the reason for the ban is Chick-fil-A is owned by Bible-believing Christians who donate money to fine Christian ministries. It’s that simple. The trouble began in 2012 when Chick-fil-A CEO Dan Cathy affirmed that marriage was the union of a man and a woman. In his words, he was “guilty as charged” for believing in affirming in traditional marriage. We are very much supportive of the family — the biblical definition of the family unit. We are a family owned business, a family led business, and we are married to our first wives. We give God thanks for that … we know that it might not be popular with everyone, but thank the Lord, we live in a country where we can share our values and operate on biblical principles. What kind of heartless monster could utter such words? People of conscience should never darken the doors of this terrible franchise again — especially when Cathy said that America was shaking its fist at God in wanting to redefine marriage. Banish him! But calls for a boycott resulted in counter-calls for a “buycott,” and this Christian-owned, Sunday-closed business continued to succeed. The bottom line is that Chick-fil-A is being punished for being Christian. That’s it. The company is not being targeted because it has gone on an anti-gay campaign. Nor is it being targeted for alleged discriminatory acts against LGBT’s, not one of which has been reported and verified. No, this Christian business is being punished for being Christian as is, by extension, the Fellowship of Christian Athletes. Nothing more and nothing less. It’s time we face the facts. I addressed this dangerous tendency most recently in my article on the “Silencing of the Lambs,” written earlier this month (March). But I could write about this just about every day of the week, as believers suffer discrimination in America because of their faith. My advice to all is this: Don’t put your head in the sand. Don’t deny the seriousness of what’s happening. Don’t try to put a spin on it.